The PANDORA sale on Rue La La is back due to popular demand! Rue La La is holding a 50% off PANDORA Sale for the next 9 days! There are lots of new items in this PANDORA sale including previous Limited Edition bracelets, PANDORA Club charms and amazing rings. There are also some wonderful pieces that would make an ideal gift for Mother’s Day! Get summer ready with this fun holiday style! The PANDORA Light Blue Leather Bracelet is now $25.99 and is perfect with the PANDORA Beach Ball Charm, PANDORA Wish You Were Here Dangle and PANDORA One of a Kind Charm. This elegant and feminine combination is sure to impress! The PANDORA Moments Loving Silver Bangle which is now $39.99 with the PANDORA Pink Enamel Rose Charm, PANDORA Everlasting Grace Pearl Charm and the PANDORA Luminous Florals Charm. Stack it like you’re hot! Which of these three ring stacks is your favourite? PANDORA Eternity Ring, PANDORA Delicate Sentiments Pearl Ring and PANDORA Starshine Ring. PANDORA Love Ring, PANDORA 14K Gold Sparkling Bow Ring and PANDORA Opposite Attract 14K & Silver Ring. PANDORA Love 14K Gold Flower Ring and PANDORA Shining Star 14K Spinel Ring. Rue La La has stopped international shipping for PANDORA. However you can use a mail forwarding company to help! 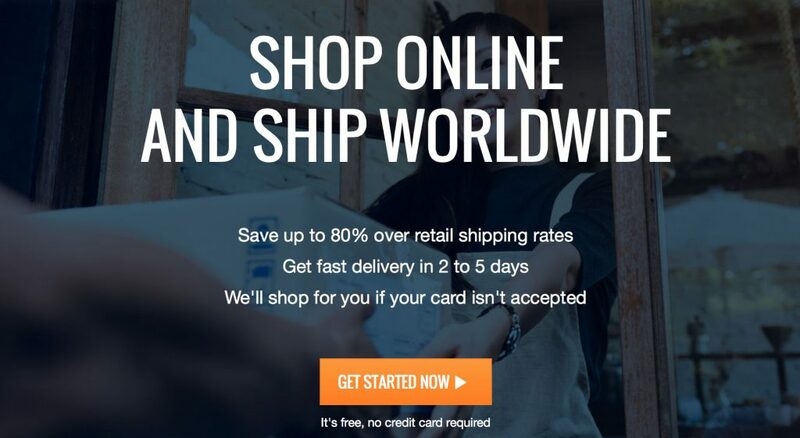 Borderlinx.com is a mail forwarding company which provides an US Shipping Address and can even shop for you if your card payment is not accepted! Once the package arrives at their office they forward it onto your actual address. Cost is based on weight and not size and it quite reasonable. Delivery is normally within a week. I myself use a mail forwarding company and it is a fantastic way to enjoy PANDORA sales and promotions around the world. My free PANDORA Shine Clutch bag from France just arrived this morning! Is there anything from your wishlist in this PANDORA Rue La La sale? Do share in the comments below! I just ordered a few charms. I’m having doubts about the authenticity of it. I’ve read reviews that their not authentic do you know for sure they’re authentic pandora products? Rue La La only sells genuine PANDORA jewellery. The items are retired or about to be retired and that is why the prices are so good! I have purchased from them without any problems. Thanks for commenting and have a great day! I didn’t realize RueLaLa sold Pandora only off and on. Do you know when their next sale will be? Thanks! Thank you, Dora. I really appreciate that you took the time to answer my question so throughly. I’m going to check out both the UK sale and also sign up for the Ruelala notifications. Thank you, again! You’re most welcome! PANDORA fans love to help each other out!